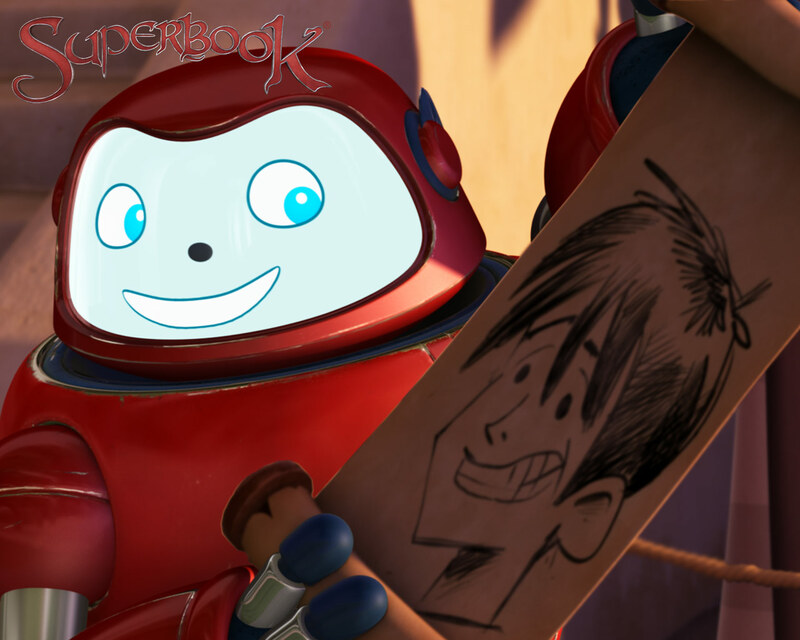 Chris is getting big-headed because his band has been invited to audition for an American Idol-like show called World’s Best Band. 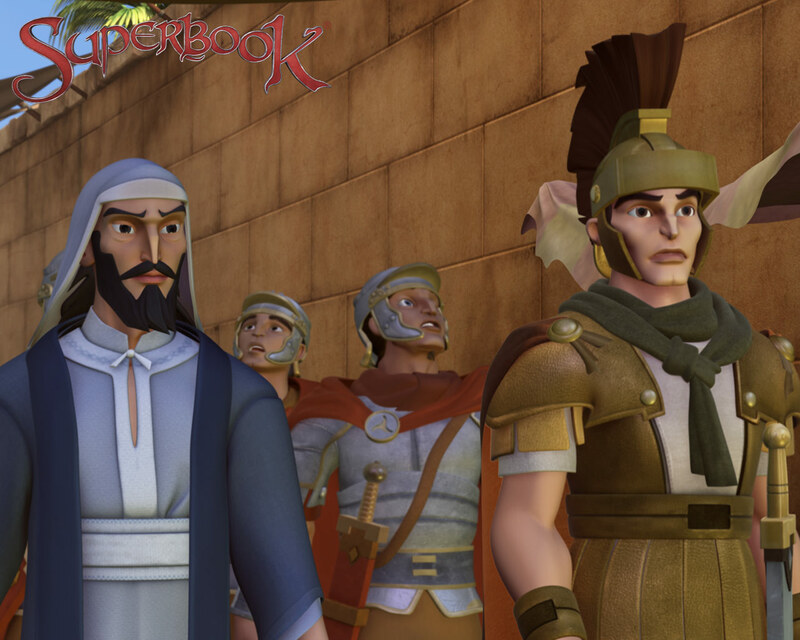 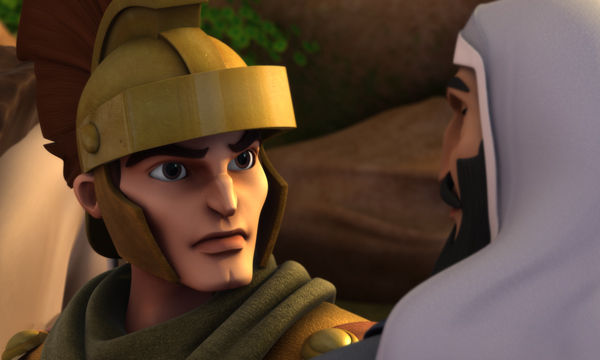 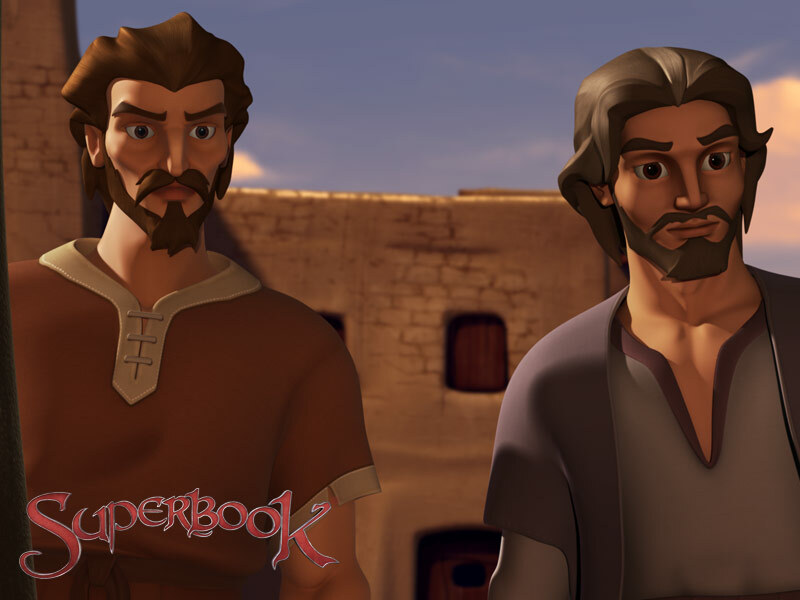 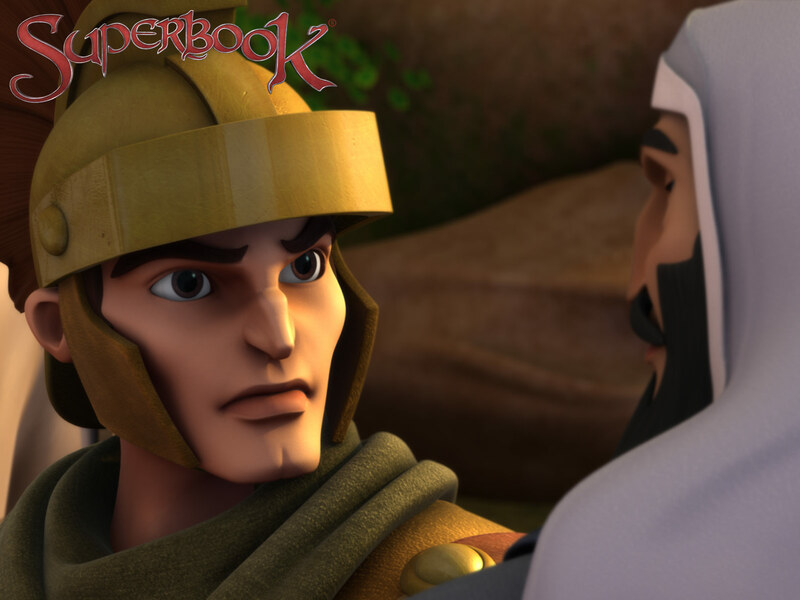 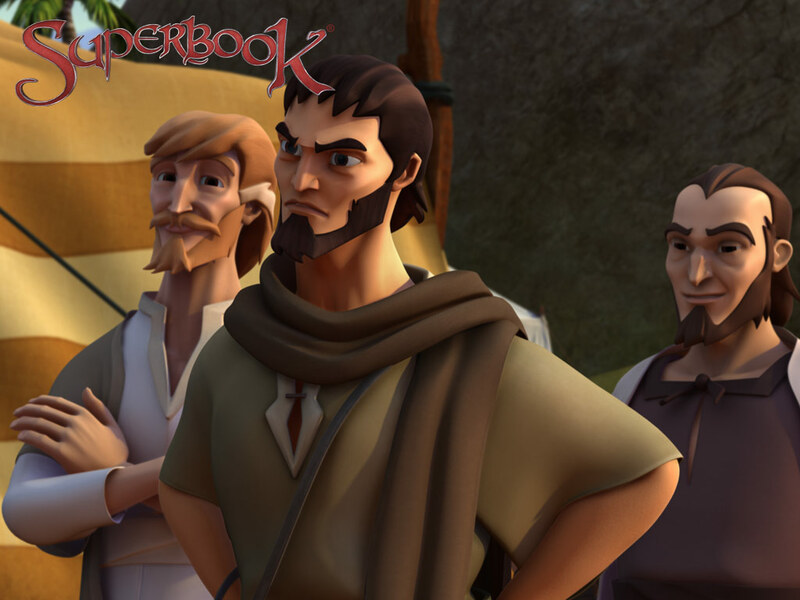 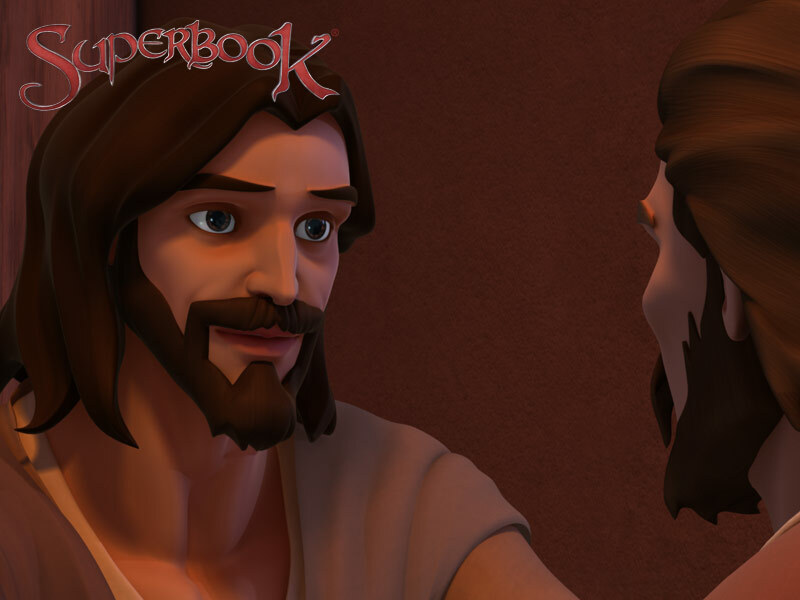 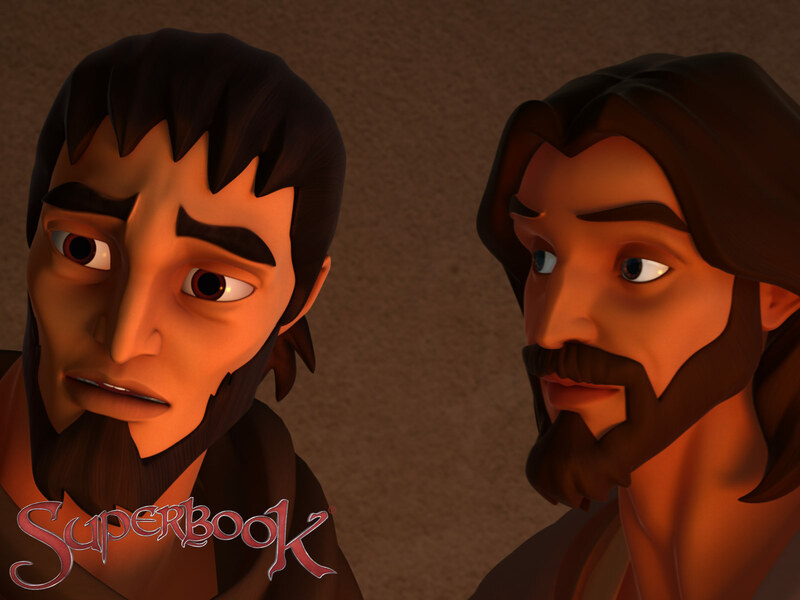 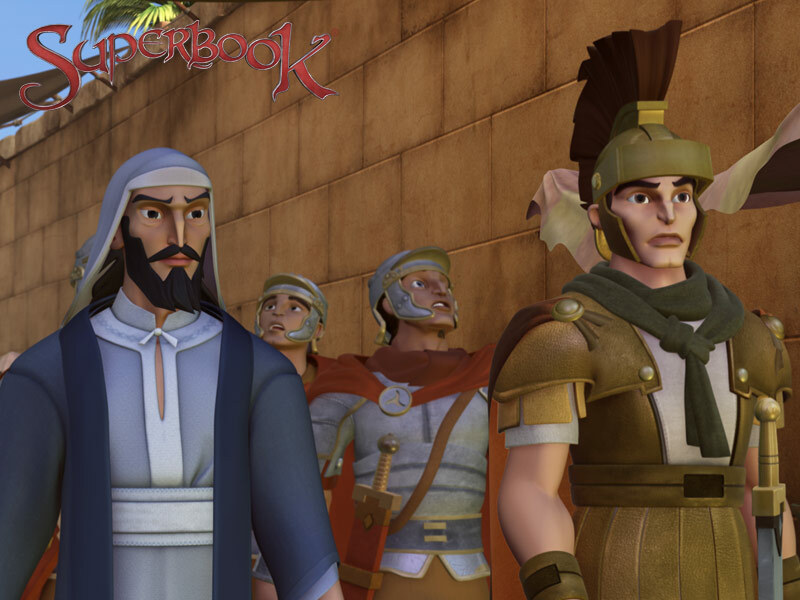 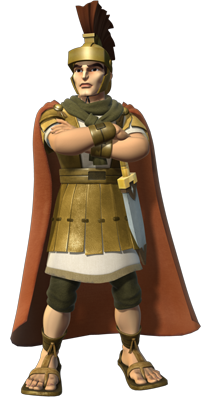 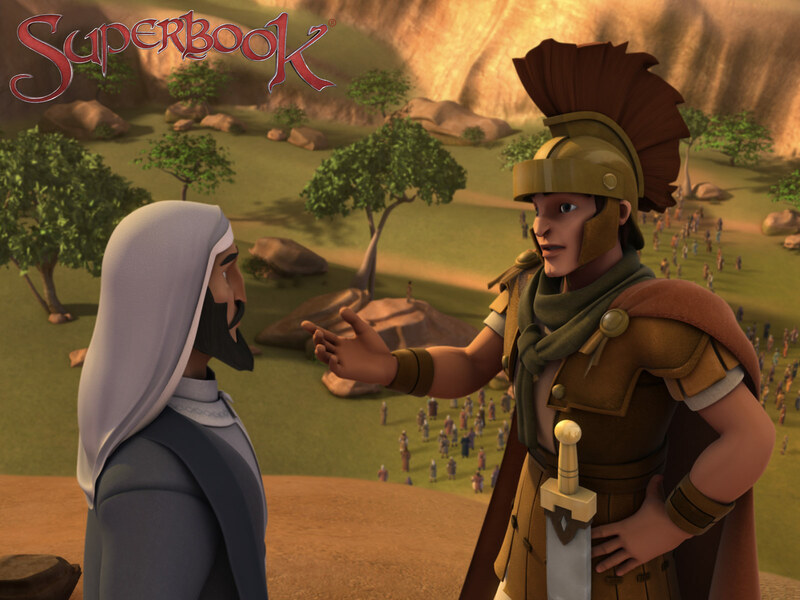 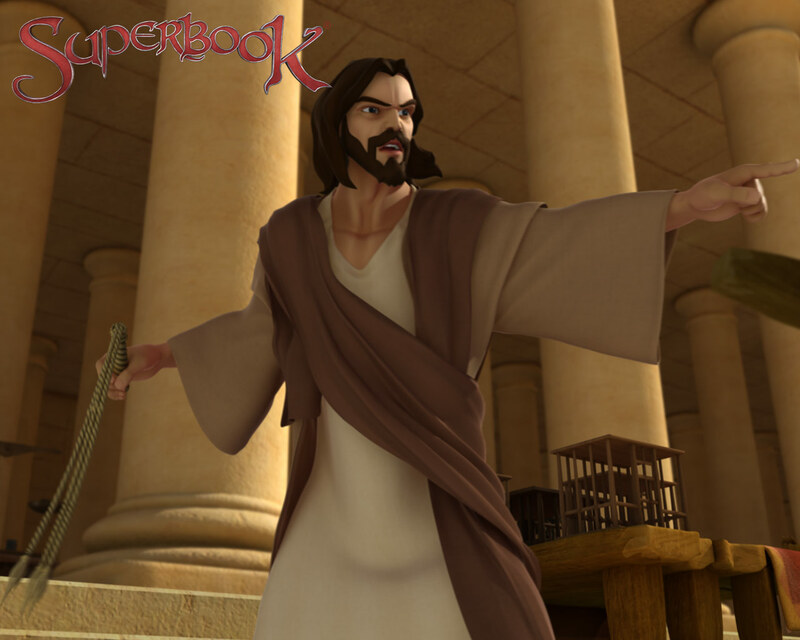 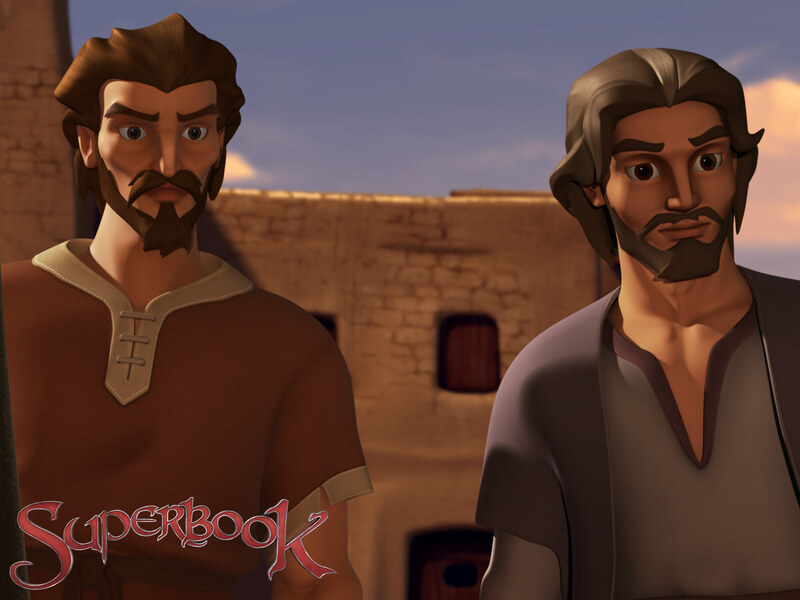 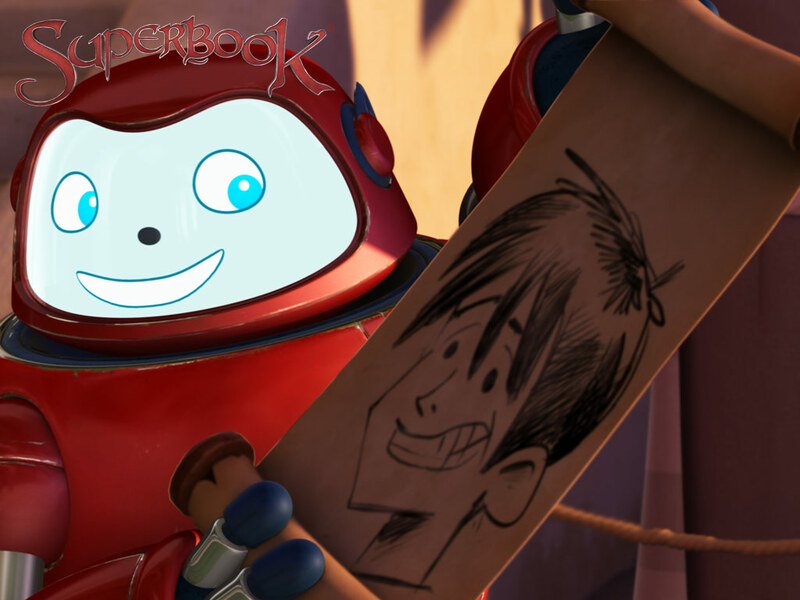 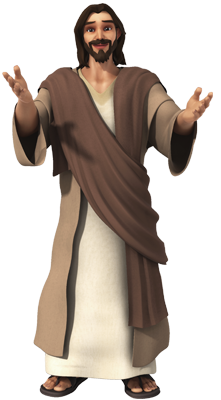 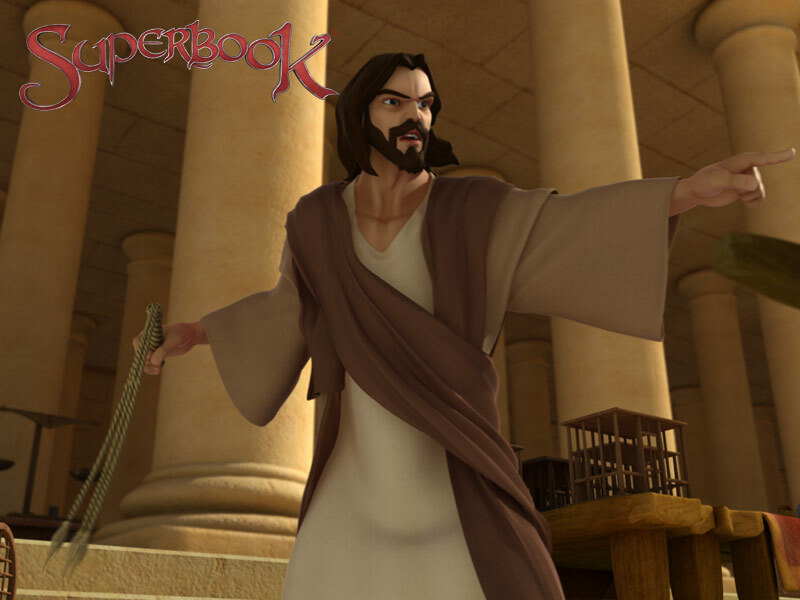 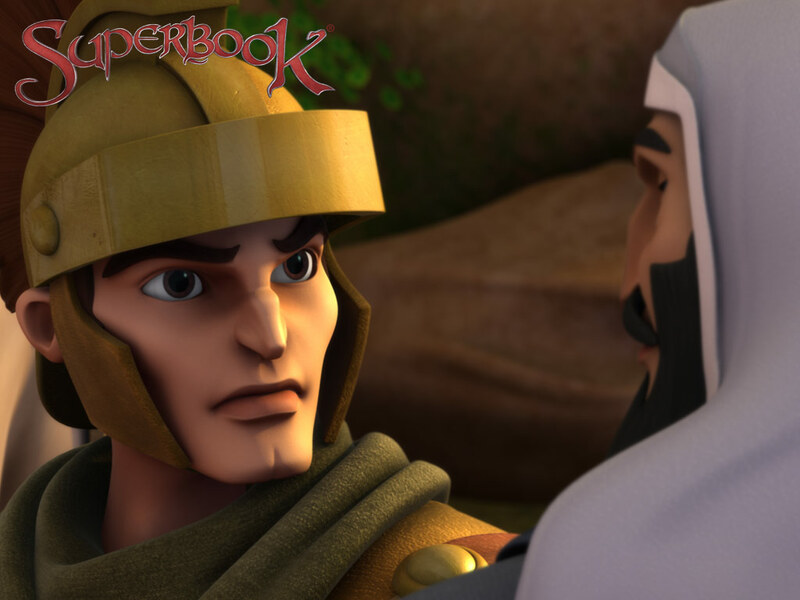 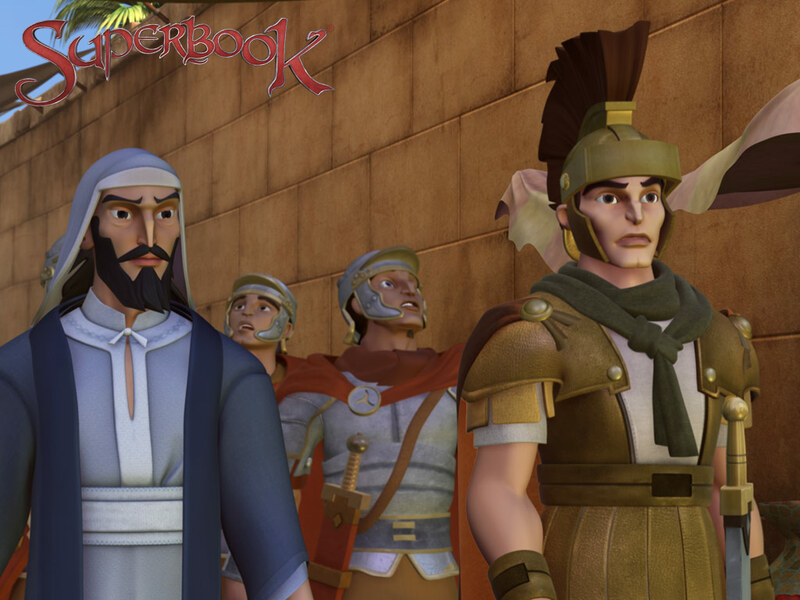 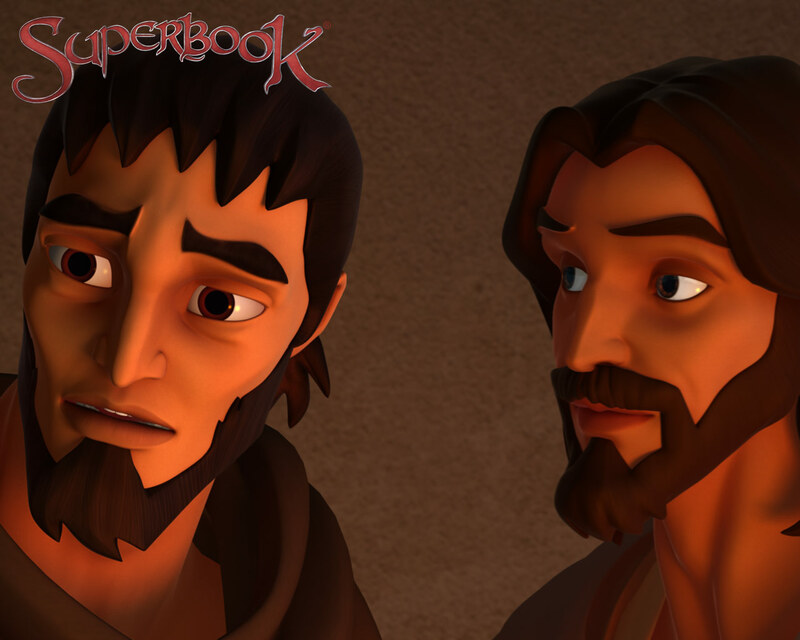 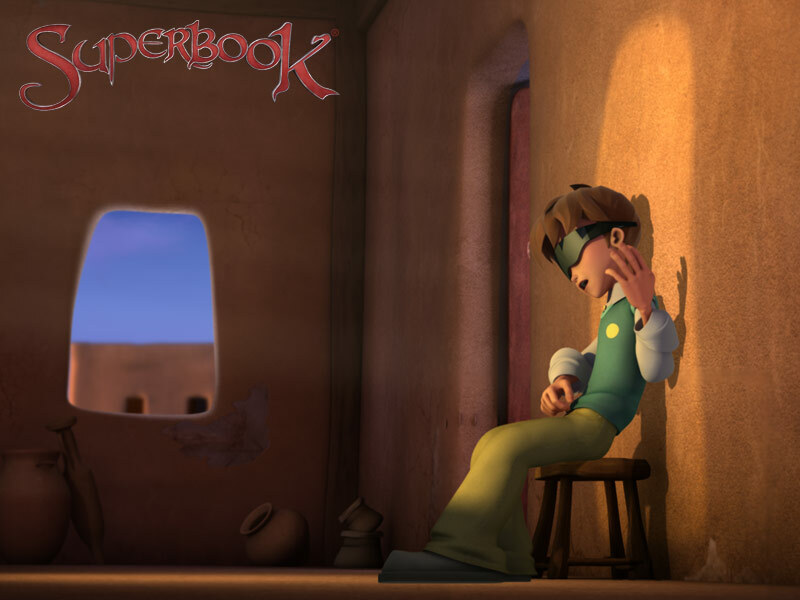 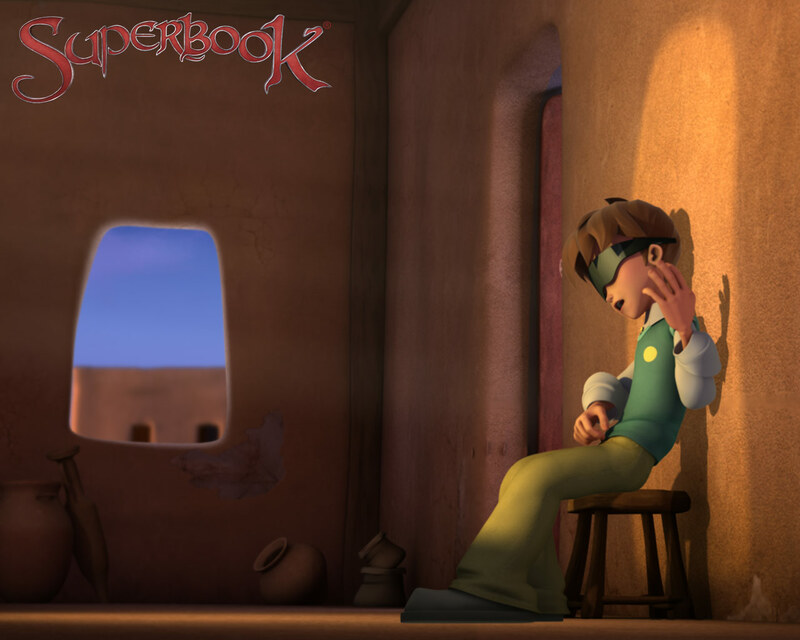 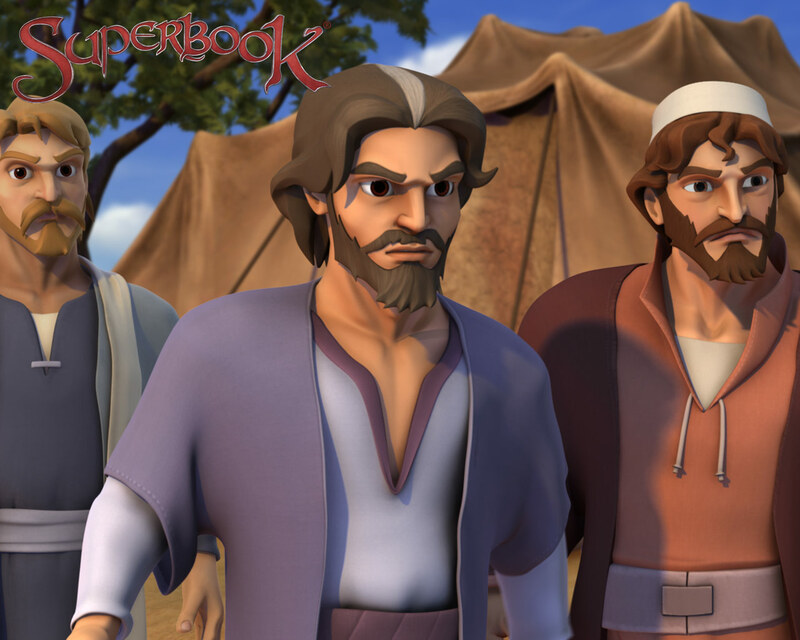 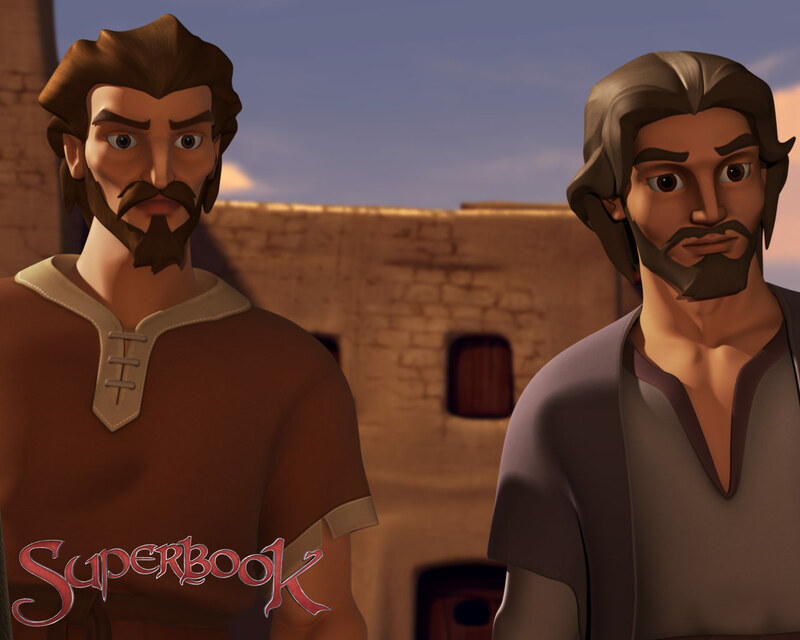 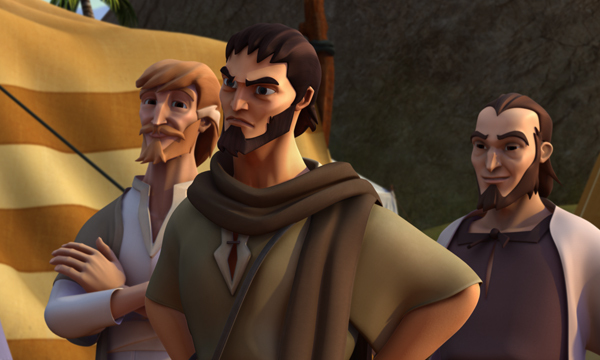 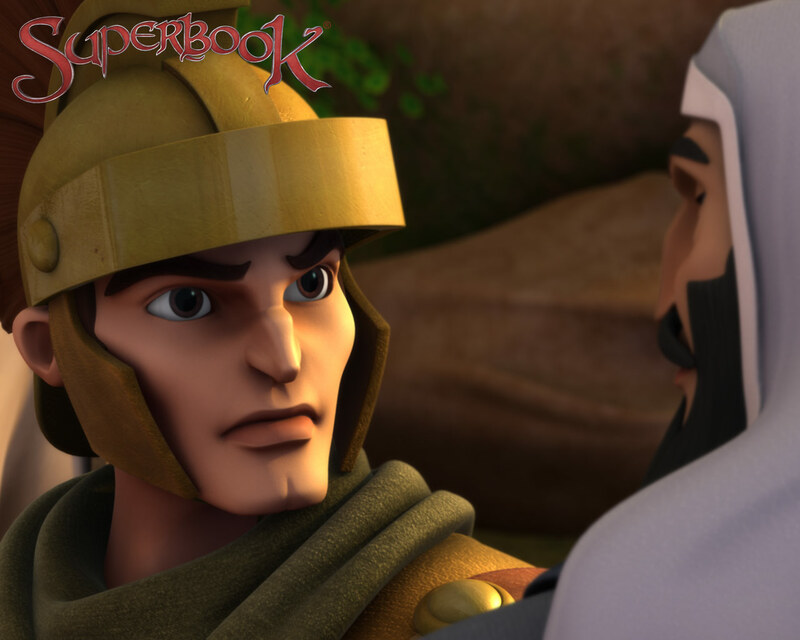 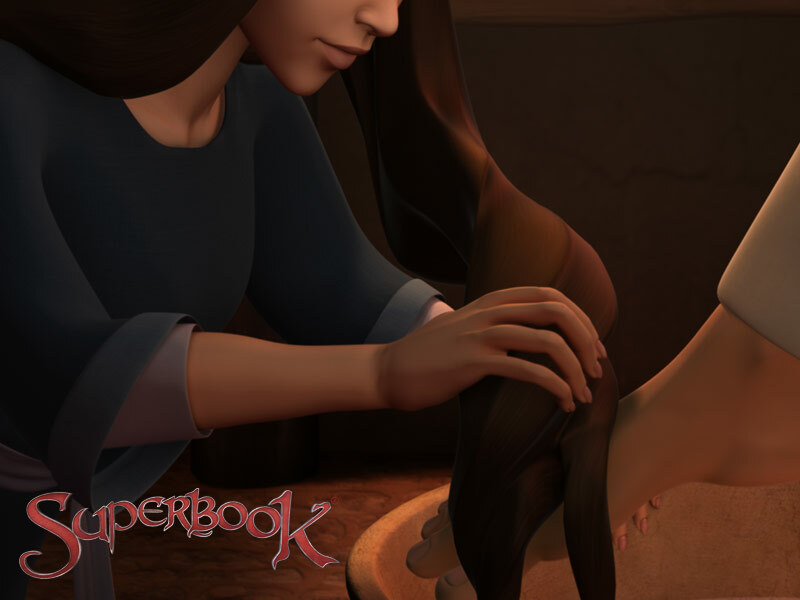 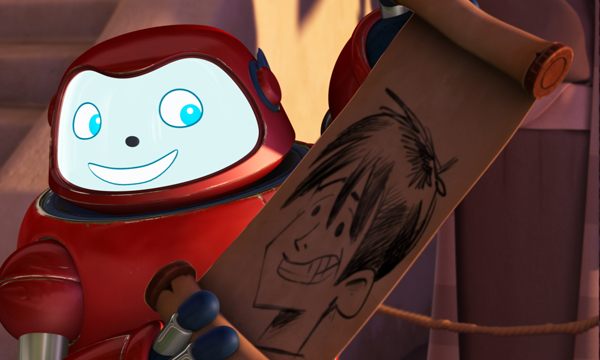 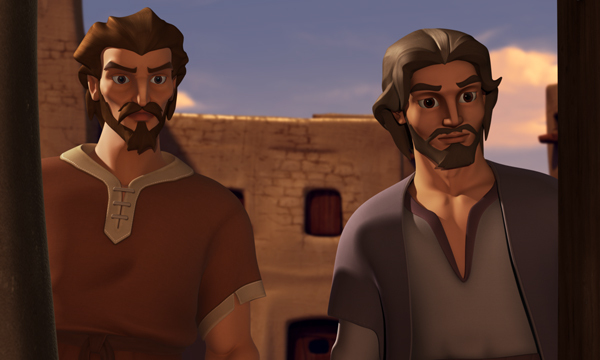 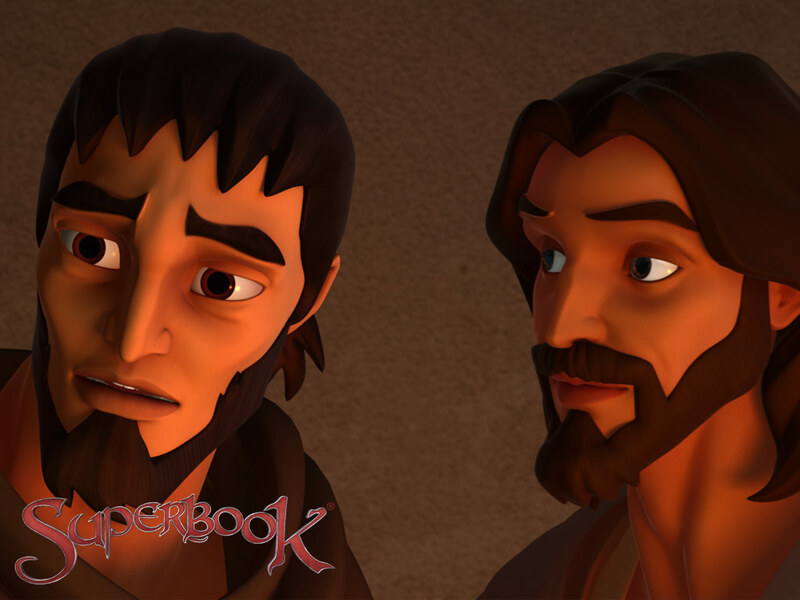 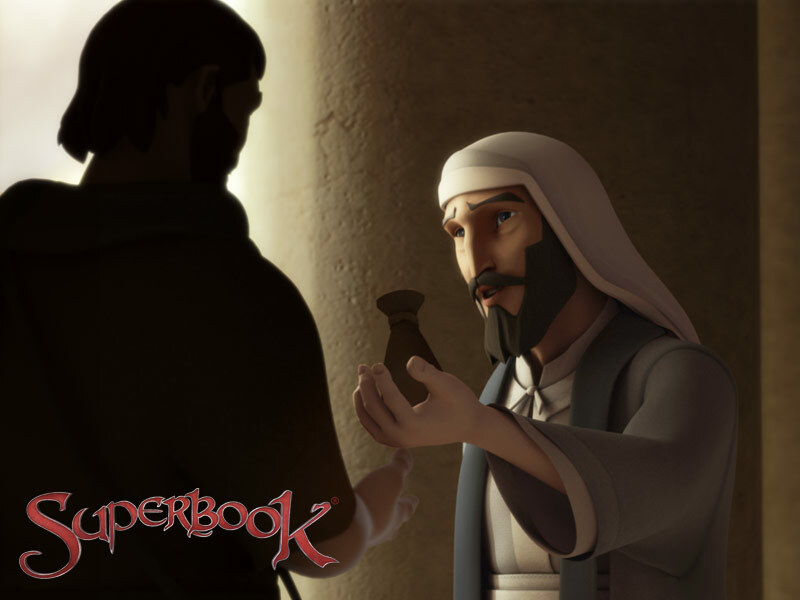 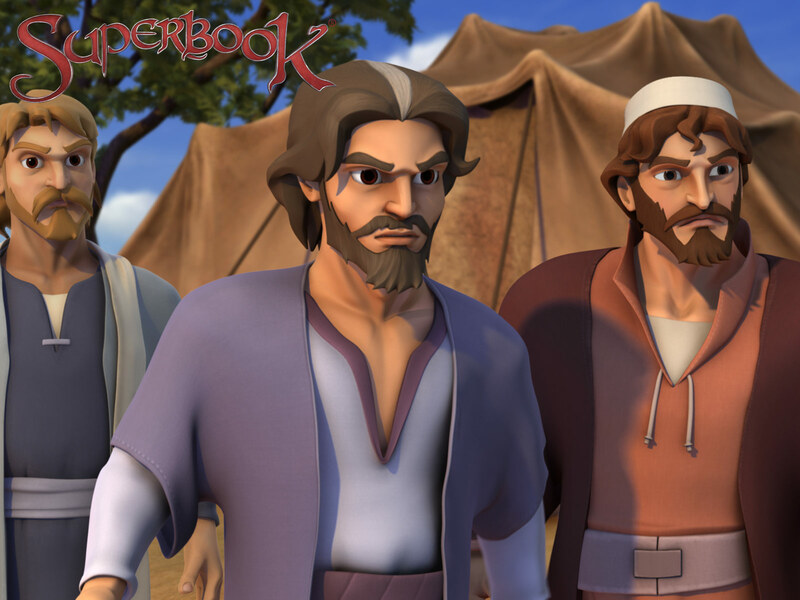 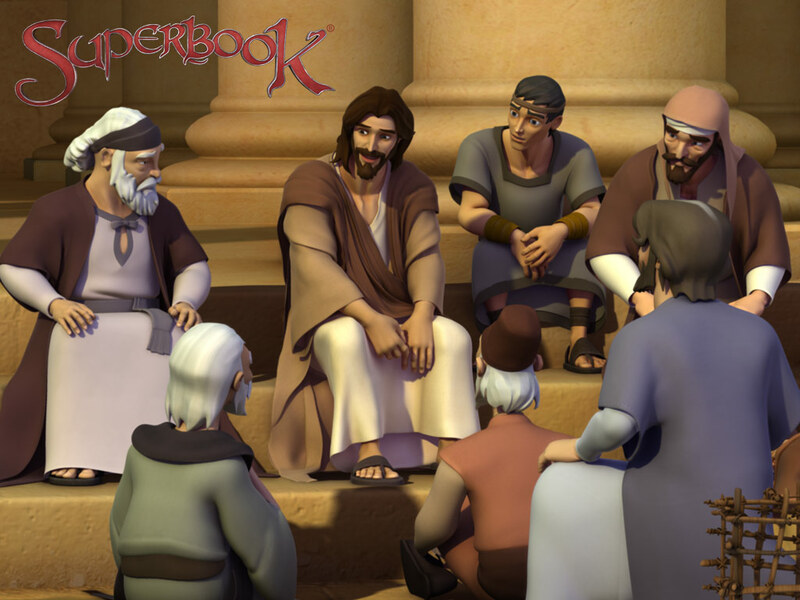 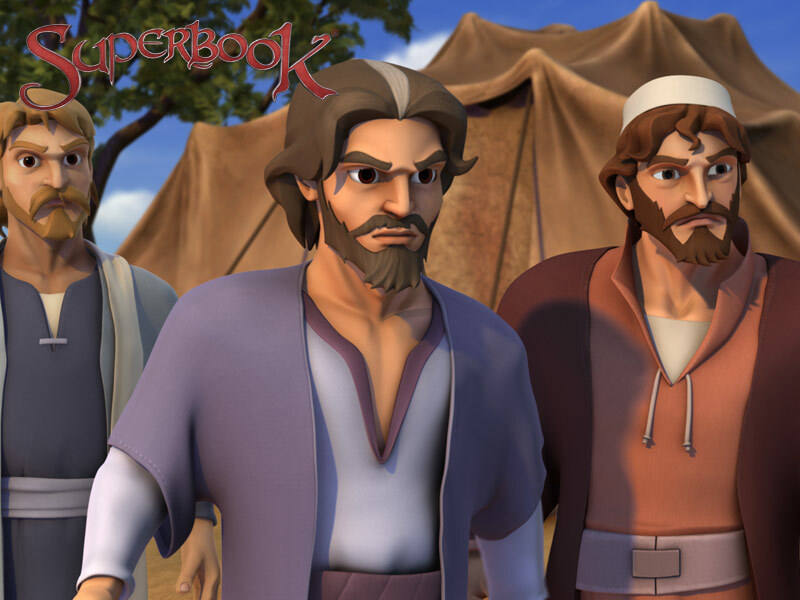 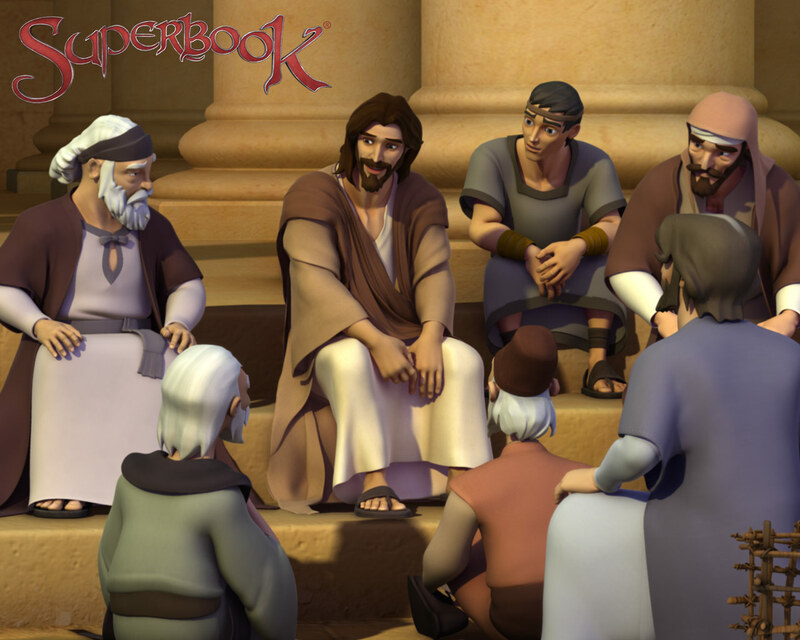 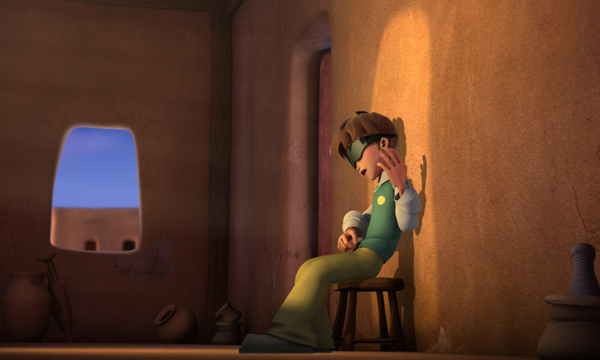 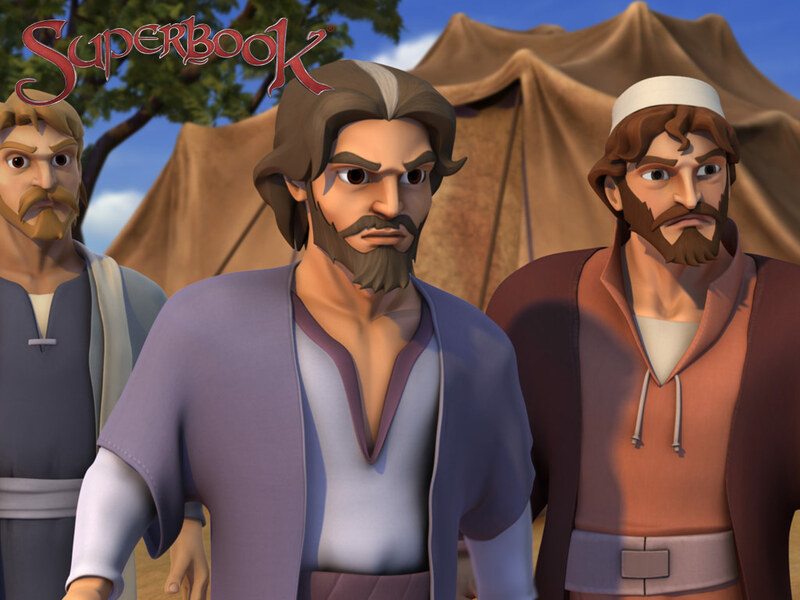 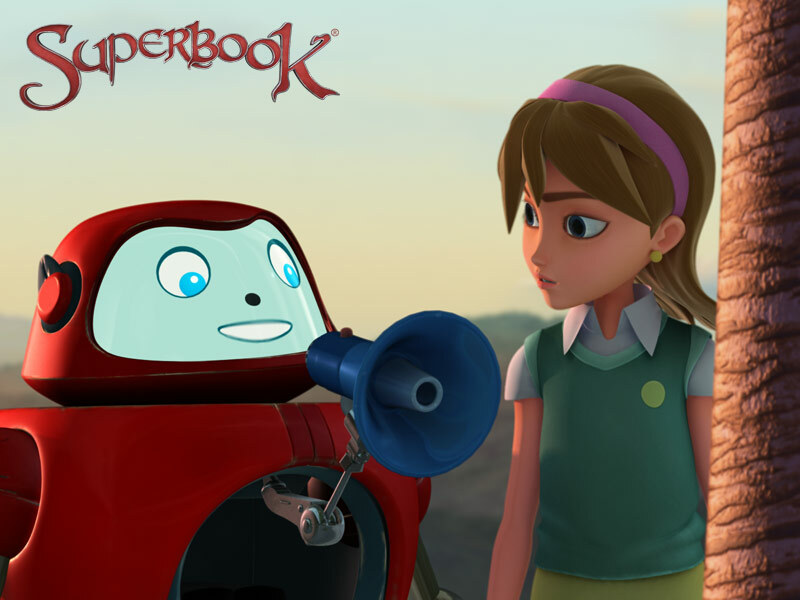 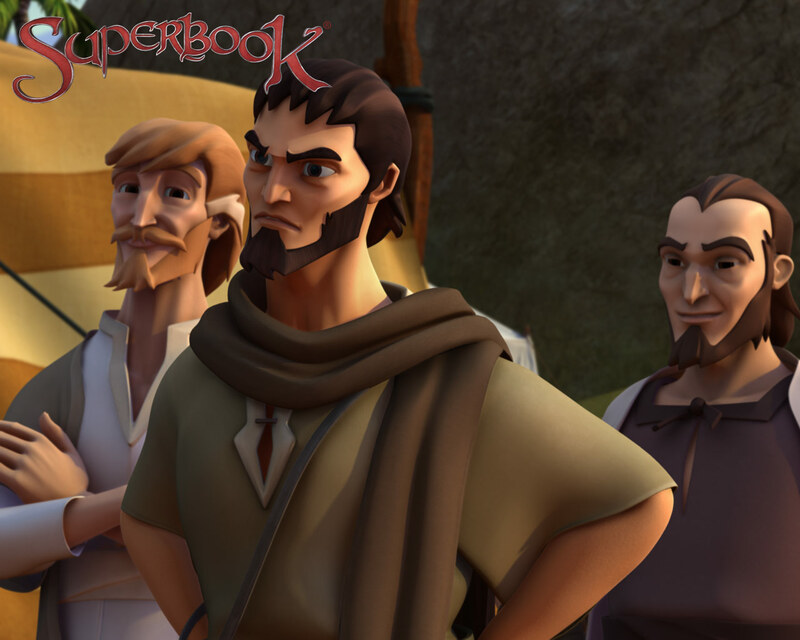 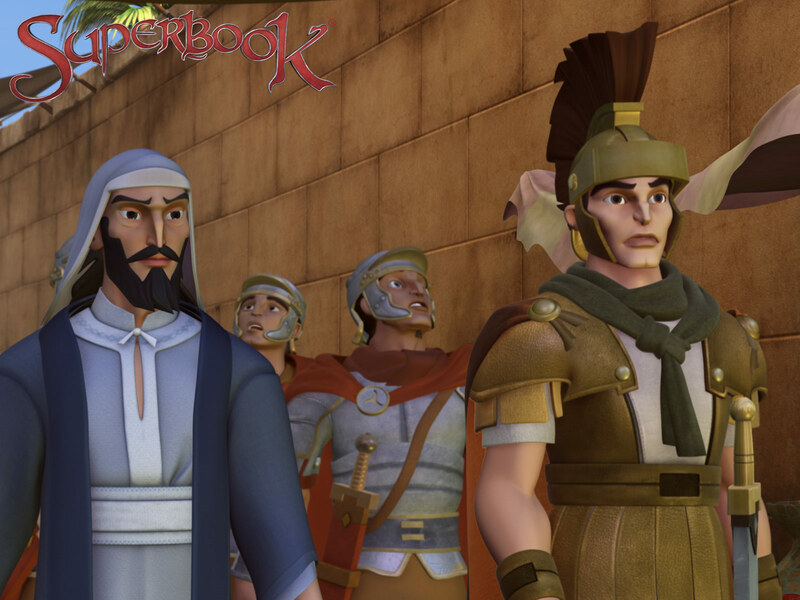 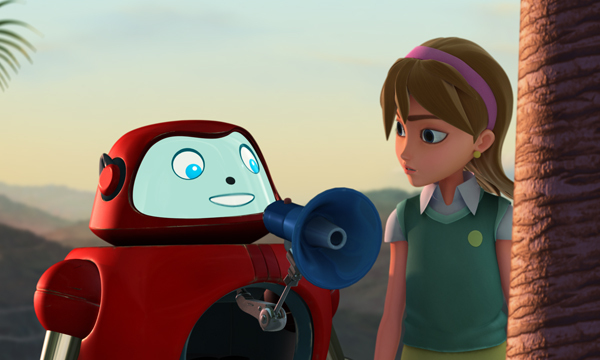 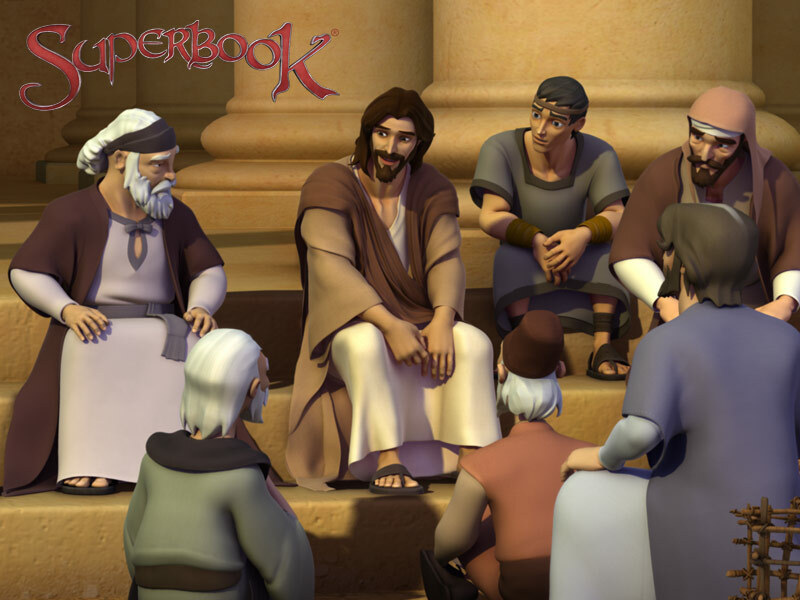 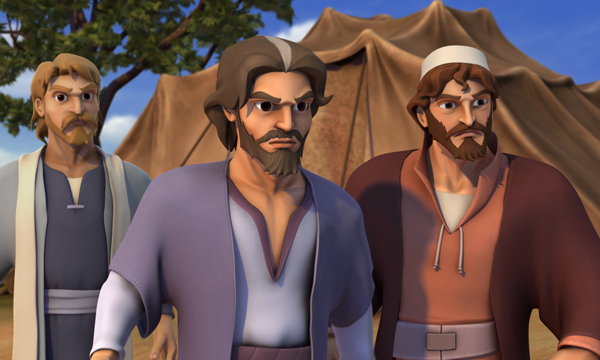 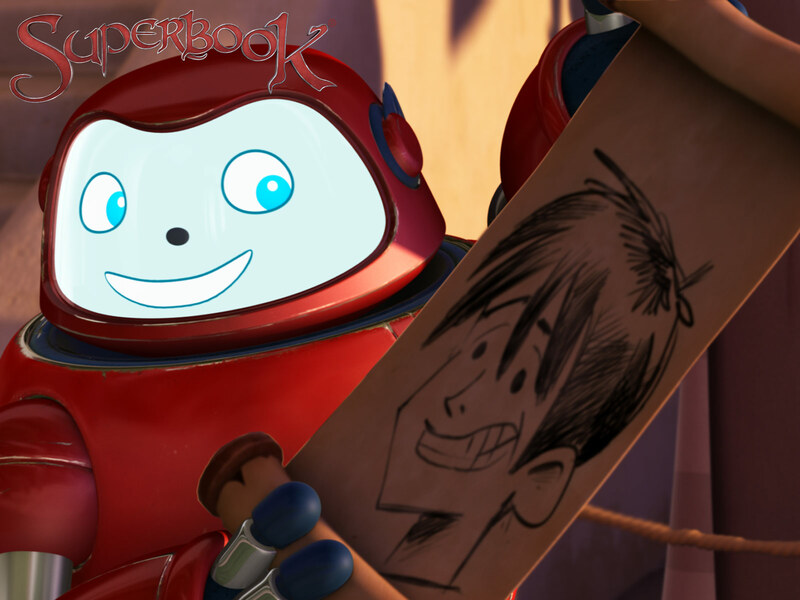 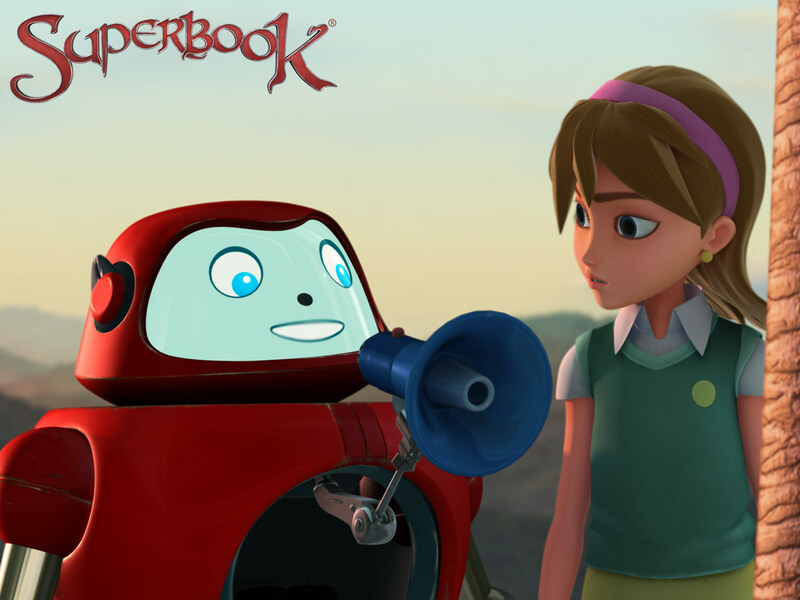 To address this issue, Superbook whisks the kids off to Jerusalem. 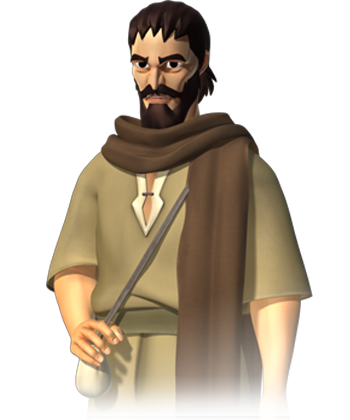 Chris learns from Jesus that even though Jesus is famous, He was humble and served others. 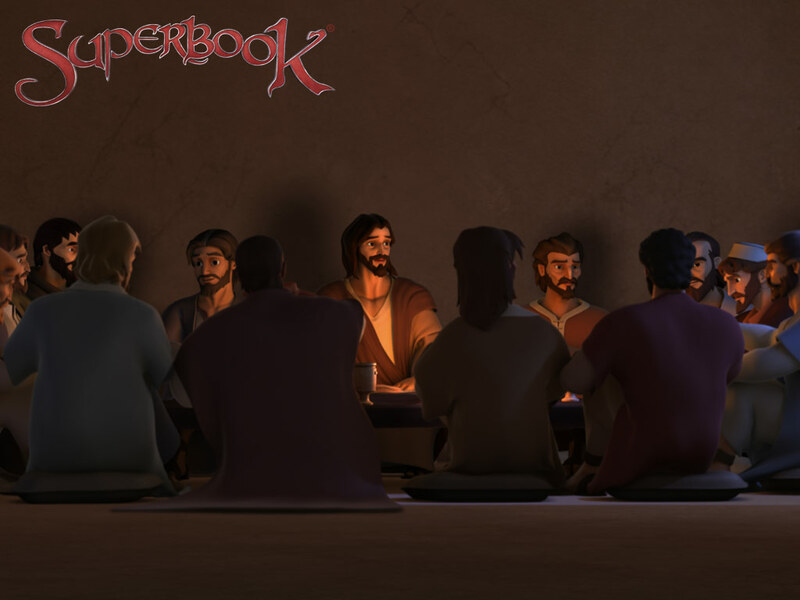 During the Last Supper, the gang ultimately returns home, and Chris has a major shift in his attitude towards others. 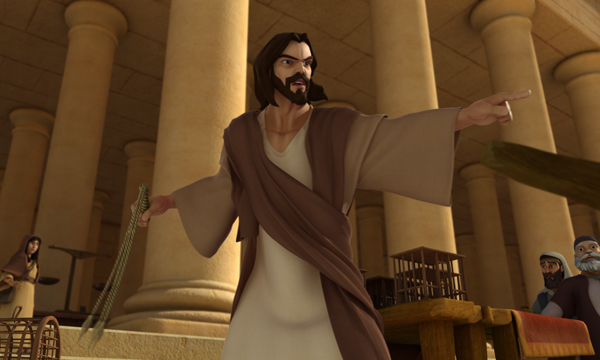 Jesus is a true King because He serves, and He asks us to do the same. 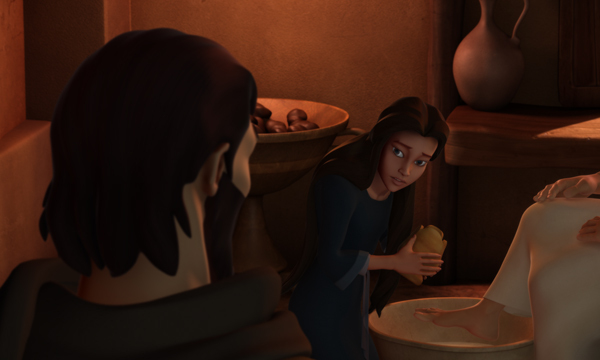 This woman was aware of her sinfulness and her need for forgiveness. 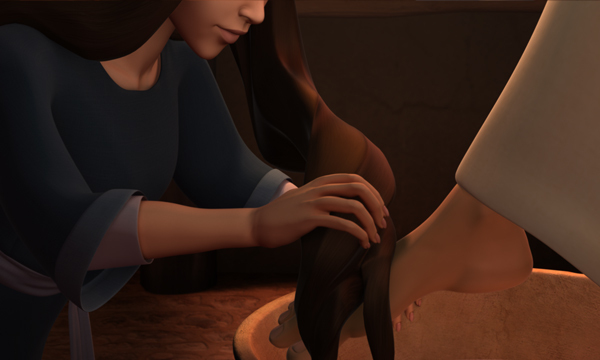 Her appreciation for the forgiveness she received was shown by her extravagant attention towards Jesus by washing his feet with her tears, her hair, and with expensive perfume (Luke 7:44-48). 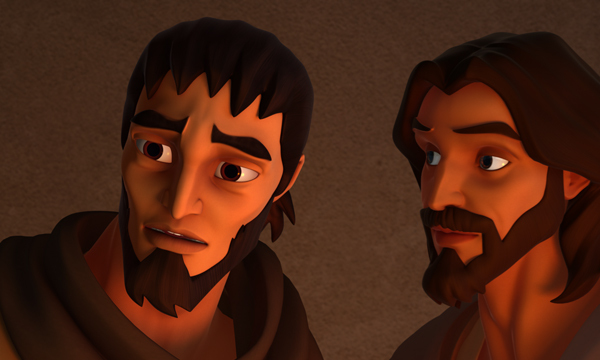 Sometimes, it’s really hard to not get prideful, especially when people applaud the things you are good at. 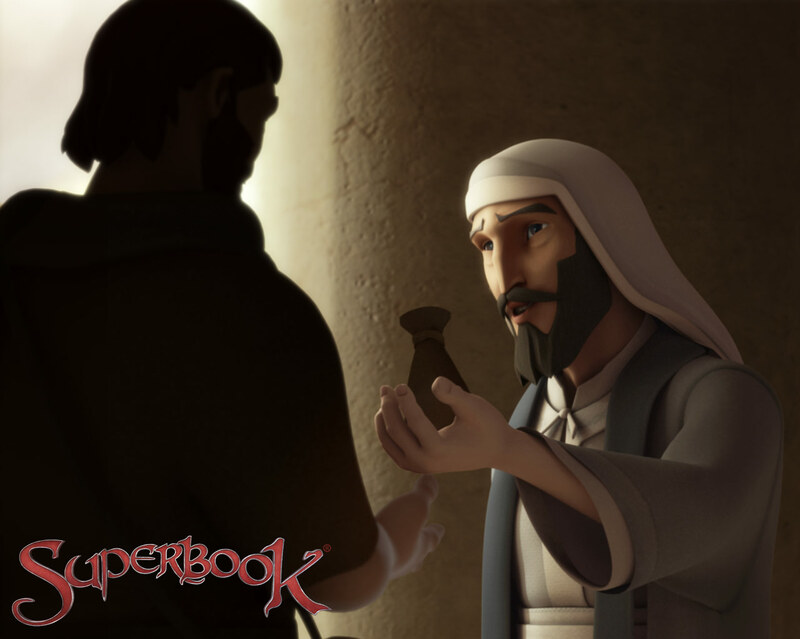 In 1 Peter 3:8, Peter encourages all Christians to “keep a humble attitude.” Humility is a characteristic or value that pleases God. 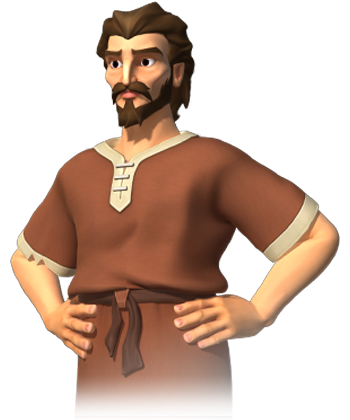 He detests the proud (Proverbs 16:5). 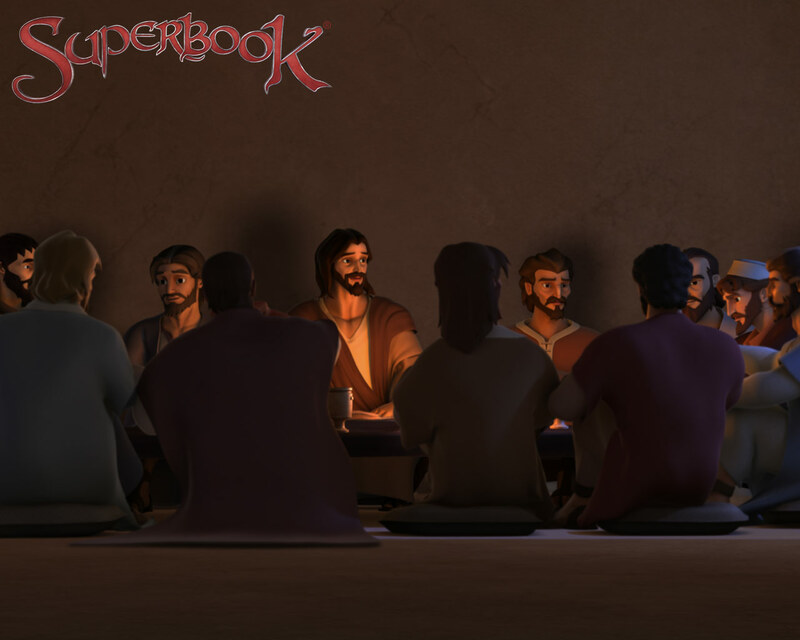 Jesus said in Luke 18:14 that those who humble themselves will be exalted. 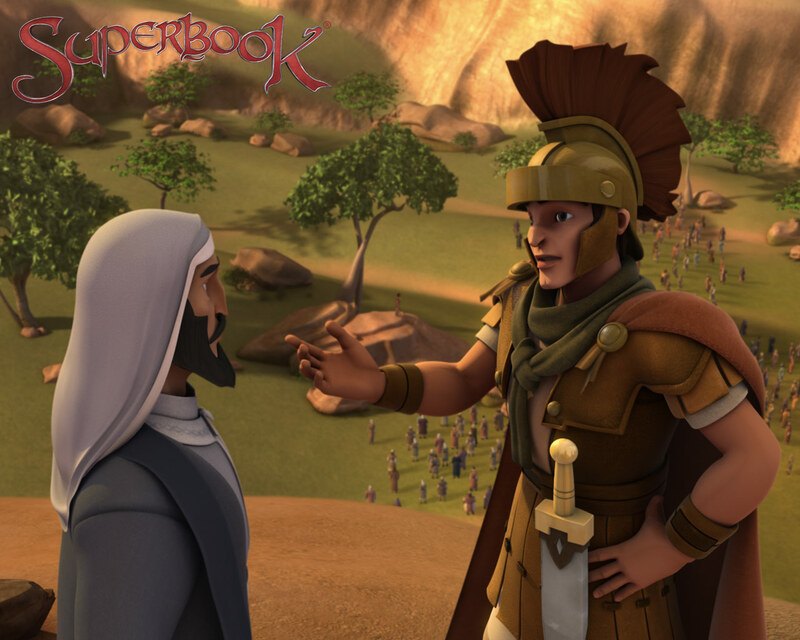 In Romans 12:3, you are encouraged to “not think you are better than you really are.” Don’t show off or try to prove you are better than others. 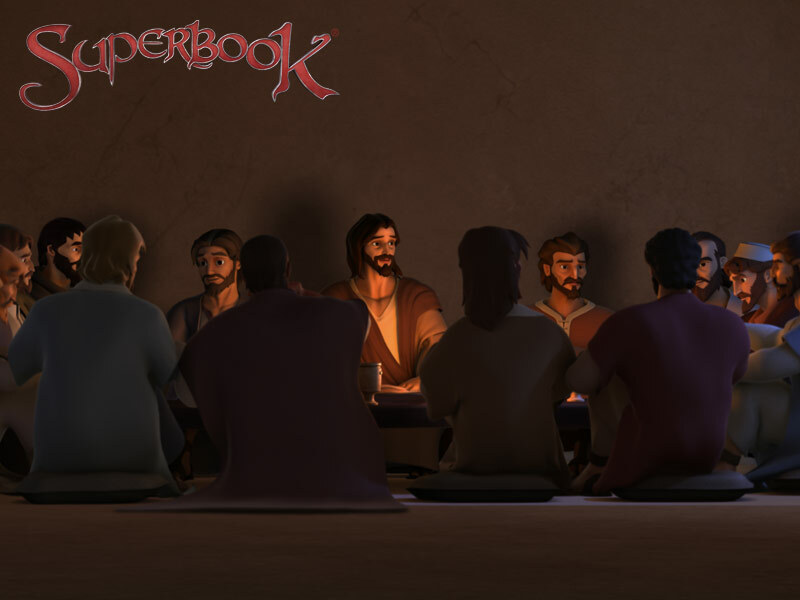 The people who believe in Jesus are called His "church," and God promises to be present in spirit where His church gathers. 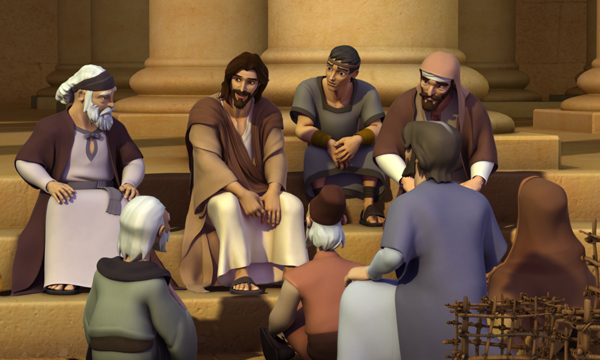 We often set aside special places and buildings for the church to gather and worship God--and we call these places "church," too! As Christians, we can respect and honor God in what we say and how we behave. 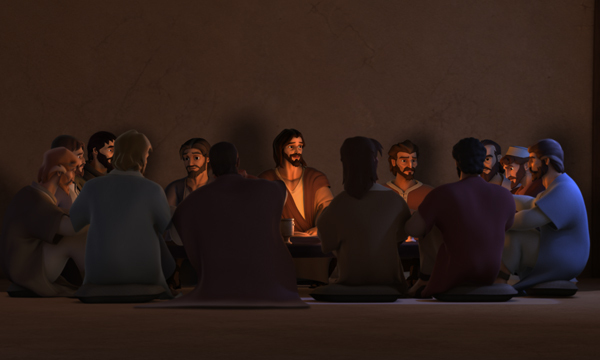 In a place of worship, we show respect by treating the space as a "house of God." 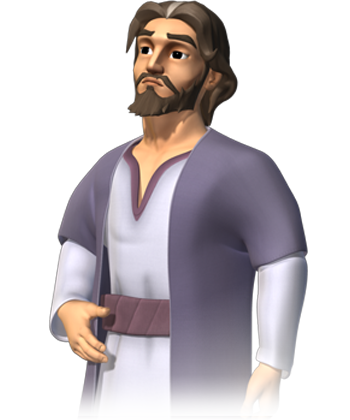 (But remember: God doesn't live in the building; He lives in His people!) 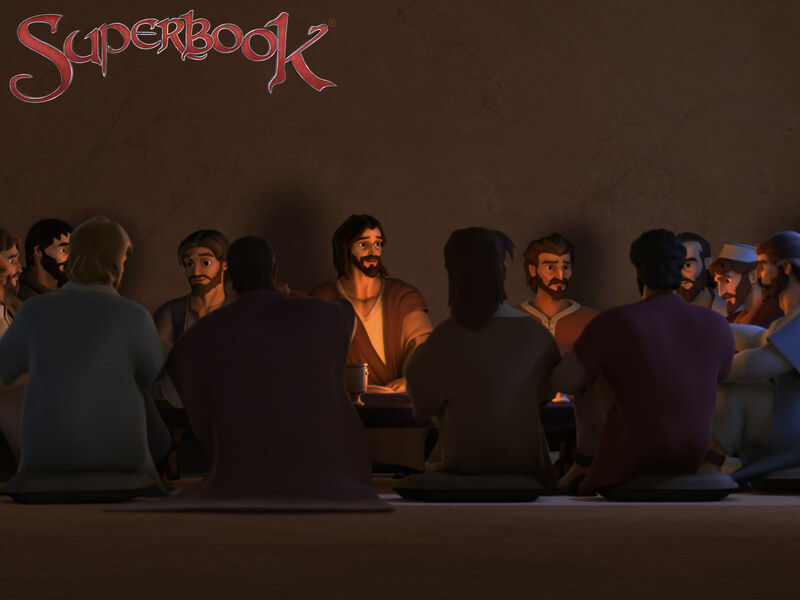 Some of the people in the Bible who experienced God's presence in a special way were Moses (Exodus 3), Paul (Acts 9:3-8), and the 5,000 at Pentecost (Acts 2). 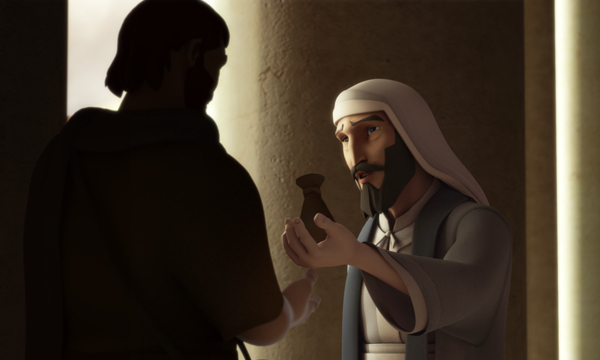 The immoral woman used a jar of expensive perfume to "anoint" Jesus before His burial (Luke 7:44-48). 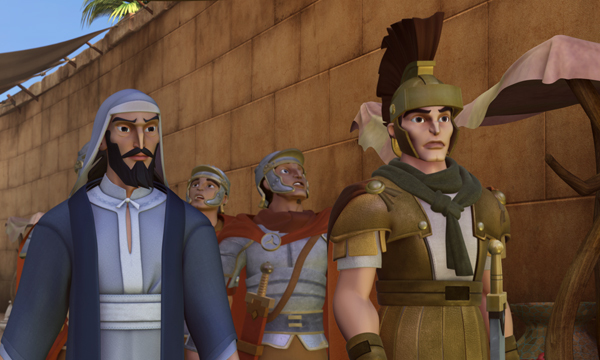 Some disciples thought it was a waste of money (it was worth a year's salary! 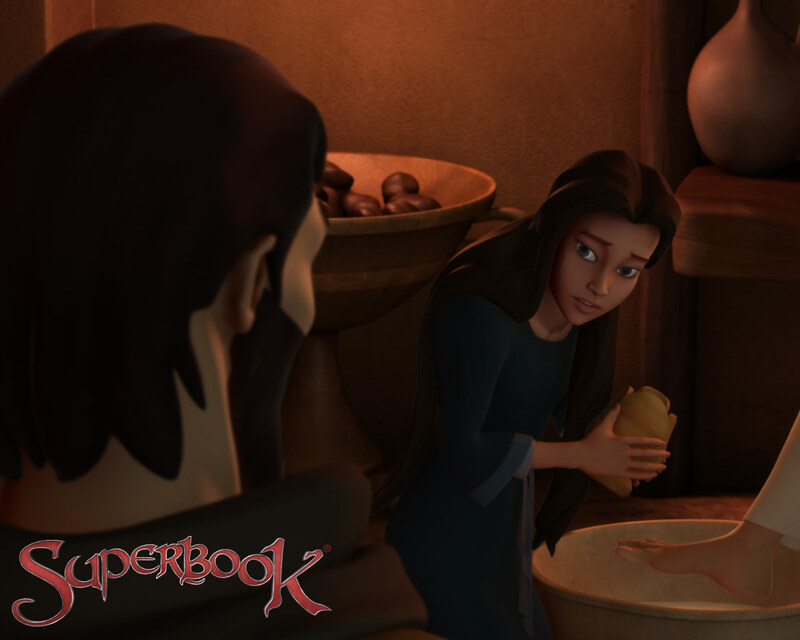 ), but she gave a precious gift to Jesus. 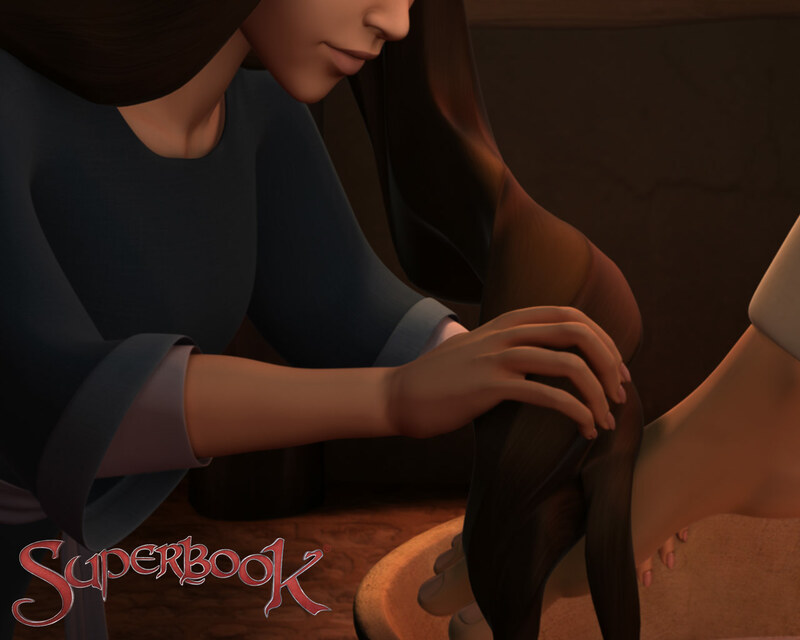 Nothing is more important than giving God our best. 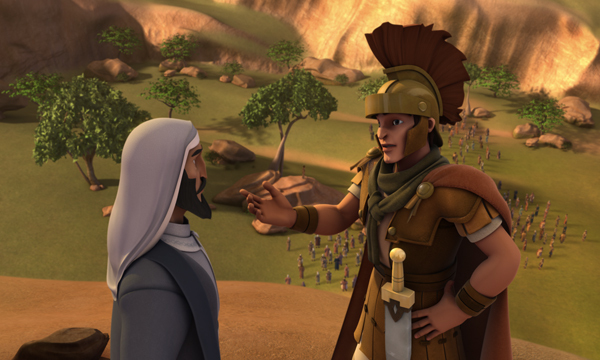 Honor Him and put Him first in all you do (Proverbs 3:9). 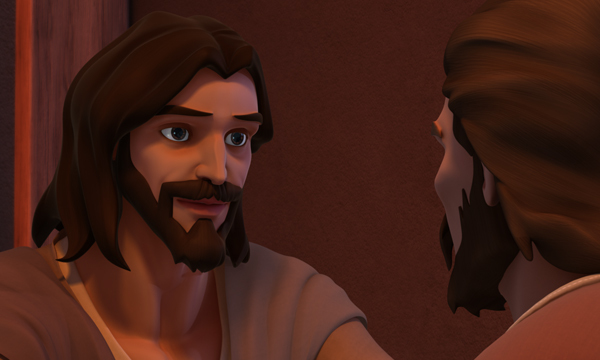 What did Jesus' life and words tell us about serving others? 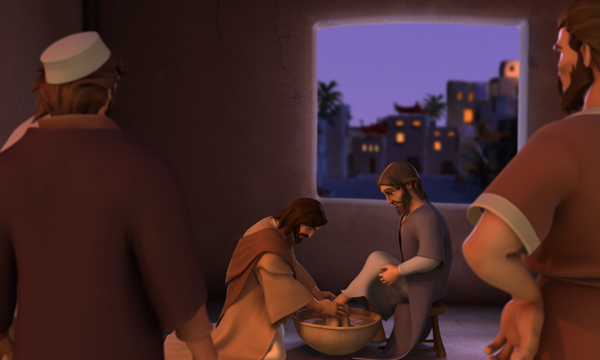 When He did the work of a servant by washing the disciples’ feet, Jesus gave us an example of serving others selflessly. 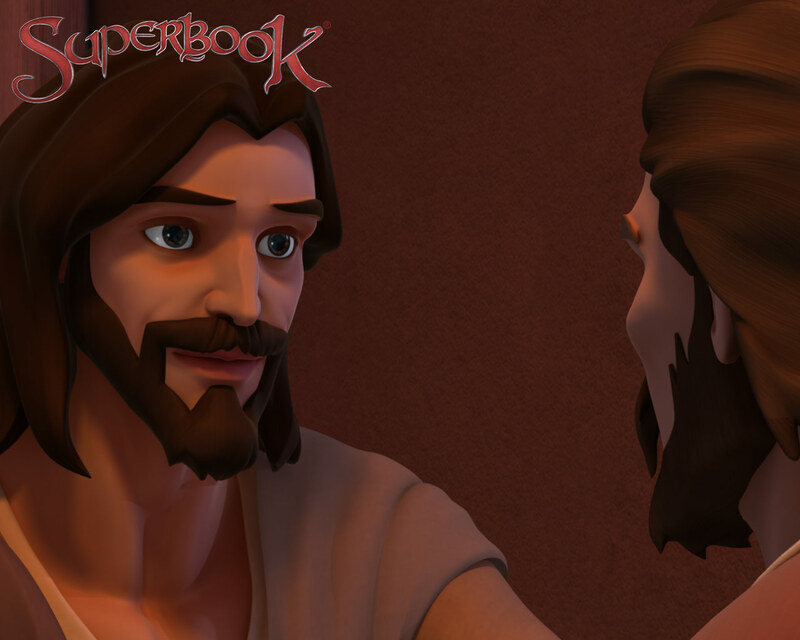 Instead of trying to always be "number one,” Jesus wants us to behave differently. 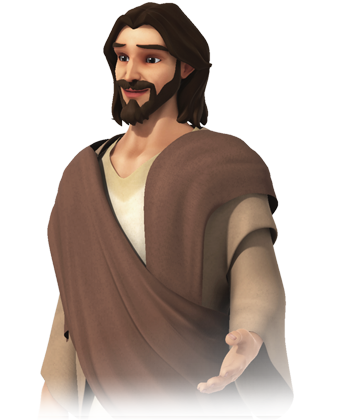 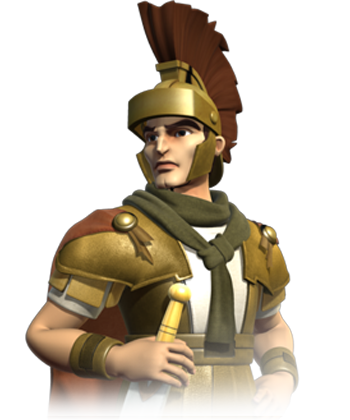 He teaches that “[t]hose who are the greatest among you should take the lowest rank, and the leader should be like a servant" (Luke 22:26). 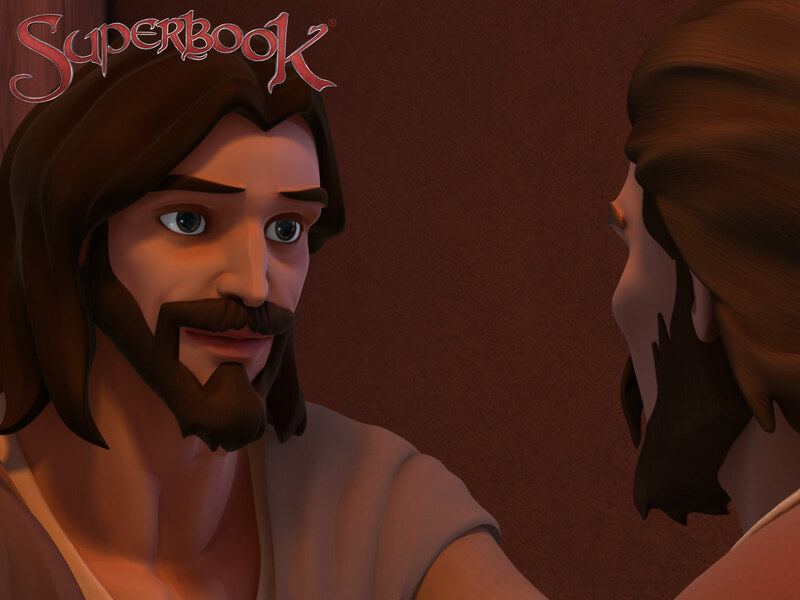 And one of his commands to us is, “Do as I have done” (John 13:15). 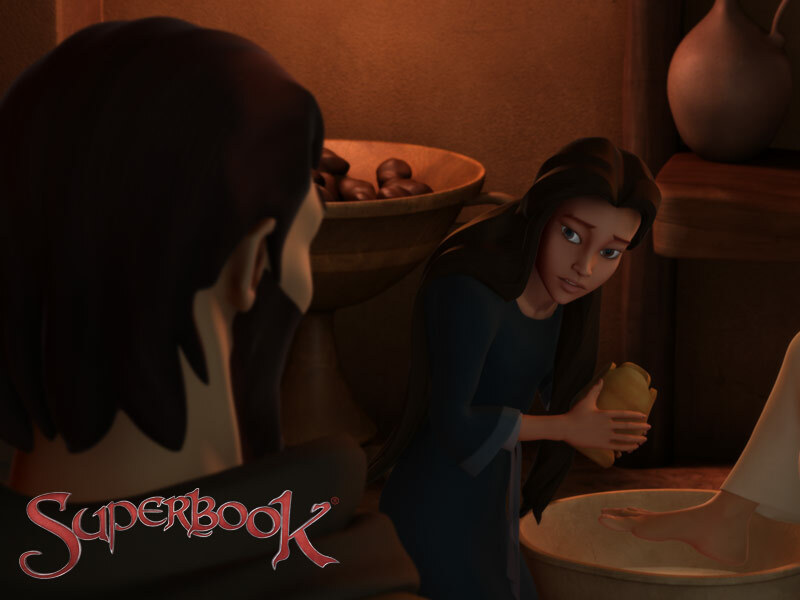 Have you ever forgotten something? 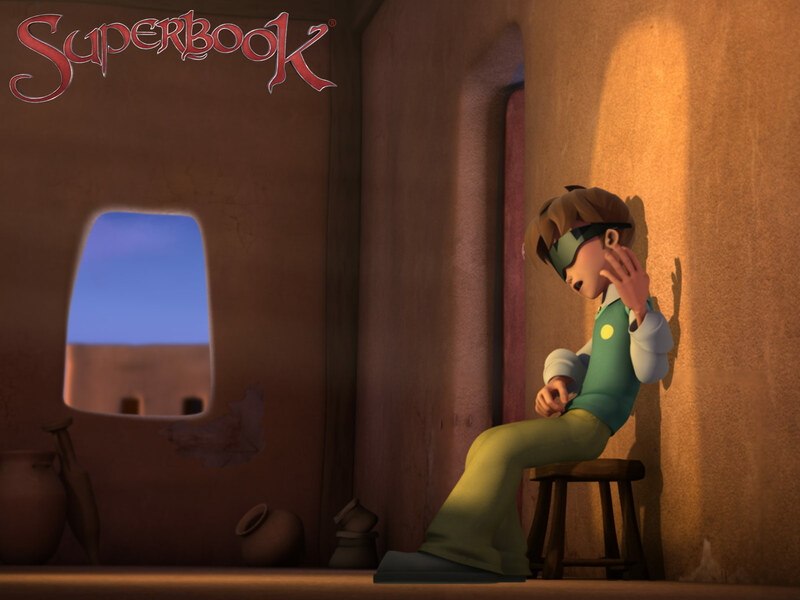 Human beings are often forgetful. We forget the good things they do for one another – and we sometimes forget the good things God has done for us. 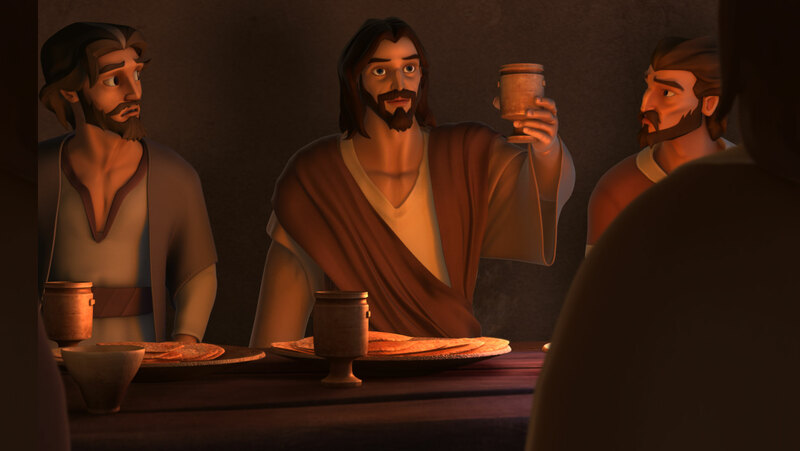 By using the bread and wine, Jesus gave us something to help us remember His sacrificial death. 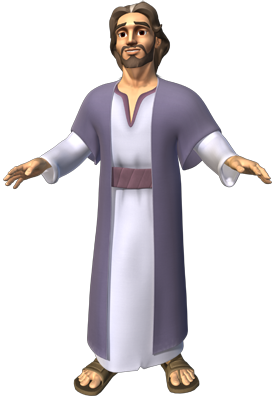 Christian churches celebrate communion during services to obey Jesus’ command for us to "Remember" (1 Corinthians 11:24-25).